The hormone health experts at Victory Men's Health have revolutionized the way modern medicine looks at men's sexual health and wellbeing clinics. A visit to Victory Men’s Health is unlike other medical offices. You won’t find white walls, plastic chairs, and tile floors. Instead, it’s more of a “man cave” experience, offering VIP treatment that will make you feel right at home. We have locations in both Illinois and Missouri (opening Spring 2019). Our Illinois location is conveniently located directly off of interstate 64 near the new St. Elizabeth’s Hospital on the 2nd floor of the blade building in O’Fallon and our Missouri location is located at the intersection of Highway 141 and Clayton Road in Town and Country. You will notice how quietly our office blends in with the other businesses in the building. At Victory we fully understand the sensitive nature of sexual health, which is why we’ve designed our facility with an atmosphere of comfort and discretion. Our experienced team is passionate about helping men revitalize their sexual health and overall wellbeing. Victory will guide you through your customized treatment options and help you choose the optimal treatment you deserve. Our approach is comprehensive and confidential. Helping you regain your sexual health and wellness in a comfortable setting is our top priority. We’re here to help you take back that lost confidence and vitality. young, confident, and energized again. A man’s sexual health is important throughout his life. Unfortunately, the hormones that are critical to maintaining sexual health are often affected by factors including age, stress, diet, physical activity or sleep. Once these begin influencing hormone production, it is very challenging to regain optimal performance without medical intervention. Today, testosterone replacement therapy is improving the lives of untold numbers of men who, in the past, would have been left no other option than to suffer in silence getting old before their time. Now, men realize that they don’t have to suffer the debilitating symptoms of low testosterone anymore! 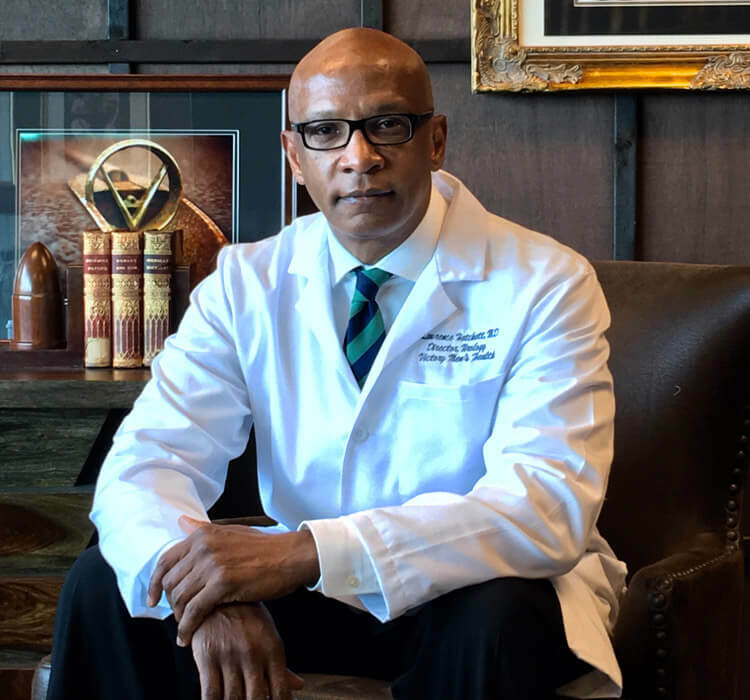 R. Lawrence Hatchett, M.D is a nationally recognized urologist with extensive medical training and experience treating erectile dysfunction, low testosterone, and anti-aging therapies for men. Born in Southern IL before moving to Aurora, Dr Hatchett was a standout athlete receiving a scholarship to play Division I basketball at Marquette University in Wisconsin. After completing his undergraduate degree at Marquette, he attended Medical School at the University of Chicago, his residency at the University of North Carolina in Chapel Hill, NC, and then completed his Urology Fellowship through Harvard University in Boston Massachusetts. Upon completion of his training he practiced in Tallahassee, Florida and now practices in Southern IL where he currently resides. 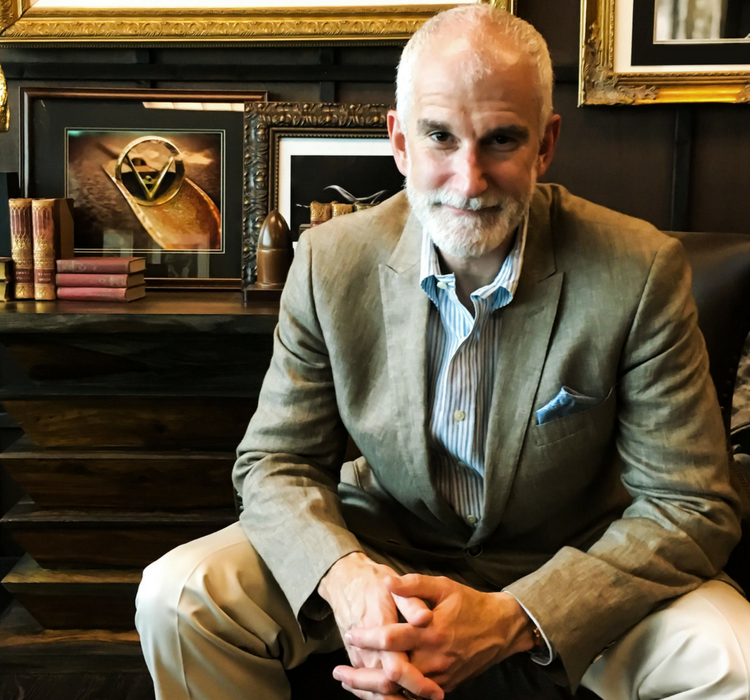 For years Dr Hatchett has been a renowned international speaker for Pfizer Pharmaceuticals and has worked with thousands of patients and physicians around the world as an expert in Viagra, erectile dysfunction, and overall Men’s Health. Dr Hatchett understands the importance of health and fitness along with sexual performance and the desire for anti-aging therapies. Dr. David Yablonsky is a board-certified internist who specializes in men’s hormones, low testosterone, erectile dysfunction, weight loss and vitamin deficiencies. Dr. Yablonsky graduated with honors from Boston University prior to attending the Des Moines University College of Osteopathic Medicine. Upon completion of medical school, he went on to complete a three-year residency in Internal Medicine at the University of Rochester School of Medicine in Rochester, New York. His past leadership positions include Chief of Medicine, Internal Medicine Section Chief, Medical Director of Cardiopulmonary Rehabilitation and Chairman of Pharmacy and Therapeutics Committee at Grinnell Regional Medical Center in Grinnell, Iowa. Dr. Yablonsky’s focus is on disease prevention and health optimization. He has furthered his training by completing several conferences and courses including the elite training program of Cenegenics in age management medicine. Most recently, Dr. Yablonksy is the Director of Internal Medicine at Associated Physicians Group. Rachel Dulaney, FNP-C is a board certified Family Nurse Practitioner who specializes in Men’s Health. She earned her Associate’s Degree in Nursing from Southwestern Illinois College, and her Bachelor of Science in Nursing from McKendree University. After 6 years of nursing experience in critical and urgent care she pursued her Master’s of Science in Nursing from Chamberlain University. Rachel has travelled and worked in hospitals in Illinois, California and Arizona. 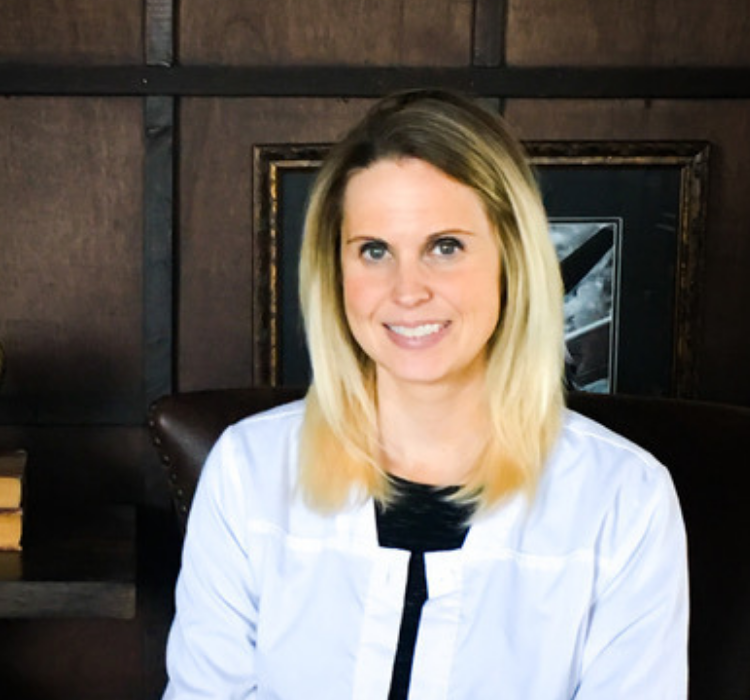 Rachel is closely partnered with Dr. Yablonsky and Dr. Hatchett to provide patients with the highest standard of care. She continues to expand her knowledge in hormone replacement therapy through continuing education with organizations such as A4M. After focusing most of her career caring for critically ill patients, she is excited for a career in Men’s Health to promote wellness and improve the quality of patient’s lives. LeAnn Nitz, FNP-C, is a board certified Family Nurse Practitioner who specializes in Men’s Health. Her passion for health and fitness led her to become a Nurse Practitioner. 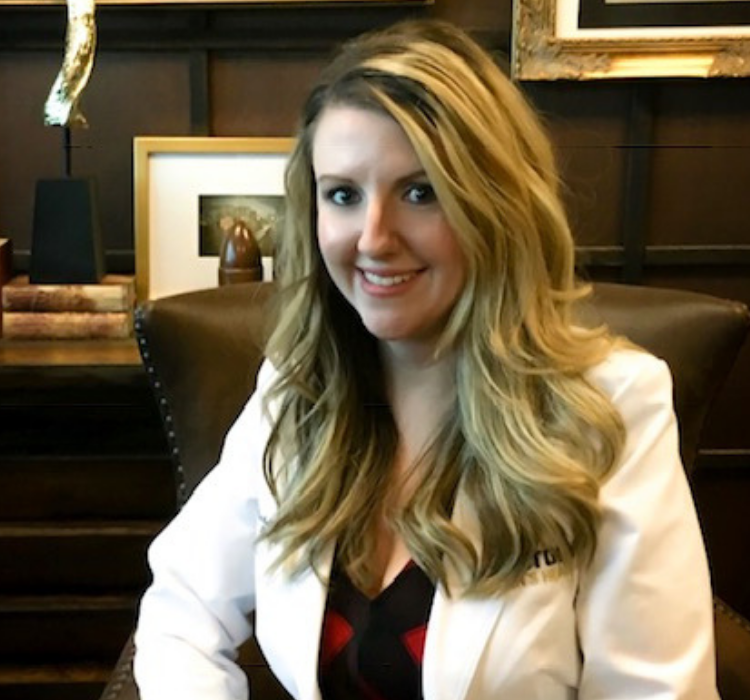 LeAnn earned her Bachelor of Science in Nursing from Chamberlain University and graduated with her Master’s in Nursing from Maryville University. LeAnn has over 15 years of experience in healthcare, practicing as a hospitalist and in the speciality of orthopedics. She takes a special interest in Men’s Health because of her passion for a healthy lifestyle, and she continues to expand her knowledge in hormone replacement therapy through continuing education with organizations such as A4M & AMM. LeAnn is closely partnered with Dr. Yablonsky and Dr. Hatchett to provide patients with the highest standard of care.